Apple blossoms! Their fragrance saturates the air on this lovely spring morning. In the park beyond, the trees are covered in an ethereal haze of tiny green leaves. Almost as perfect as can be. Except for the forecast of heavy snow that is supposed to arrive tomorrow. It's almost enough to make one cry. I long for days like this when the air is redolent with the fragrance of blossoms, the green becomes more brilliant every day and the spring bulbs literally bloom overnight. 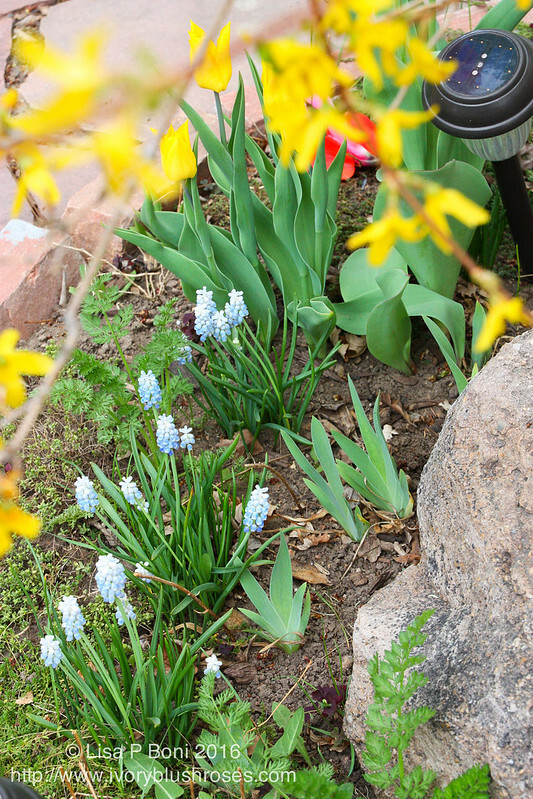 This year, everything is blooming at once, which in Colorado is a rarity. 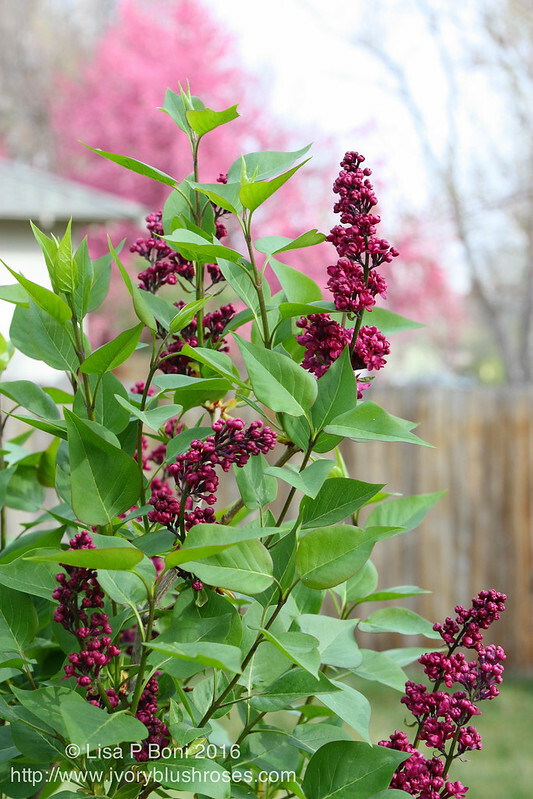 In years past, the apples typically blossom in May about the same time the lilacs usually bloom. But this year, everything is early. Glorious to have such abundance all at the same time! Such perfect days. I wish they could last, unsullied by snow, for weeks. 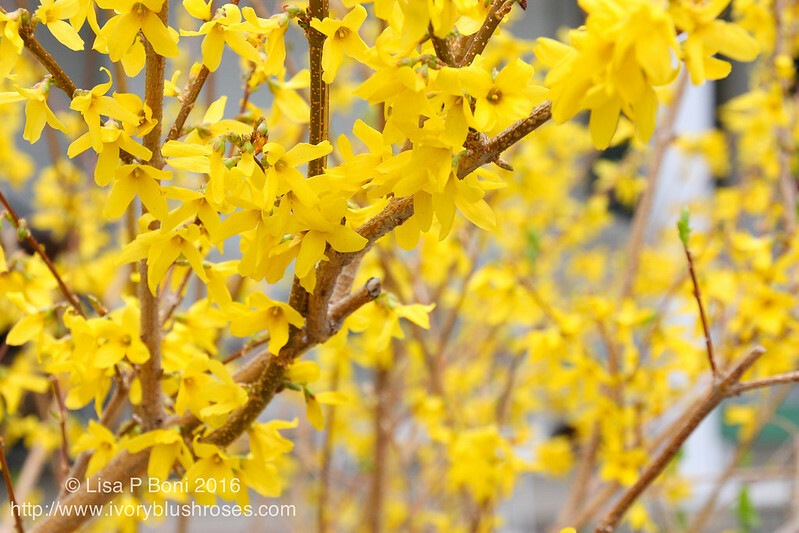 Rising early in the morning, the sunlight lights the forsythia with a golden glow. Such a glorious riot of warm color! 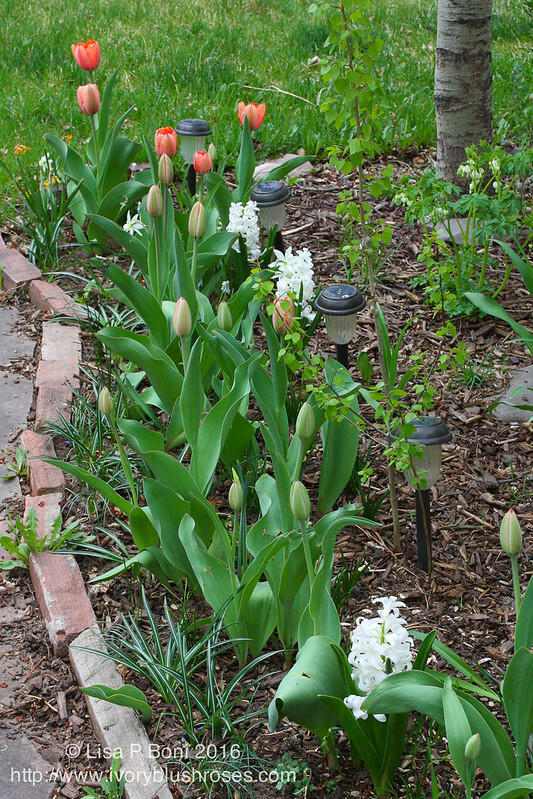 Underneath, pale blue and white grape hyacinths bloom, along with a few tulips. The creeping thyme is coming out of winter slumber. Across the path, the tulips seem to know that they must bloom today in order to beat the coming cold and snow. 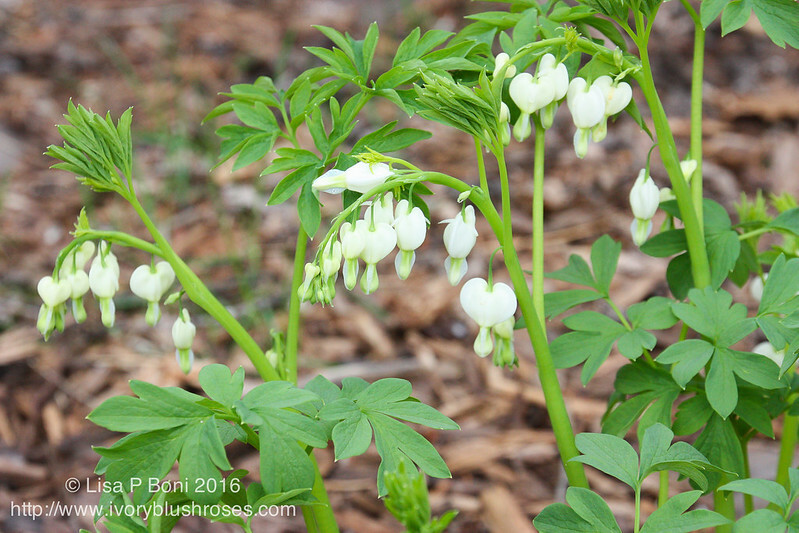 The white bleeding hearts couldn't wait either and where there were just stalks and green leaves yesterday, this morning suddenly there are cascades of blossoms! The young lilac hedge planted just two short years ago is bursting into bloom as well. My favorite scent and flowers of spring. 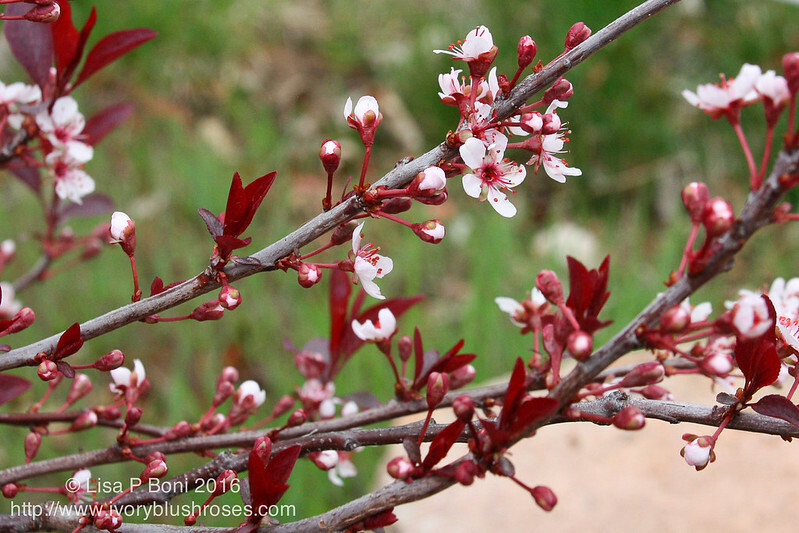 I will clip some of these blossoms to bring inside and enjoy despite the snow, in hopes that they will perfume the house along with some apple blossoms ~ my second favorite scent of spring! Don't you wish they would bring back the purity of simple flower fragrances like these? 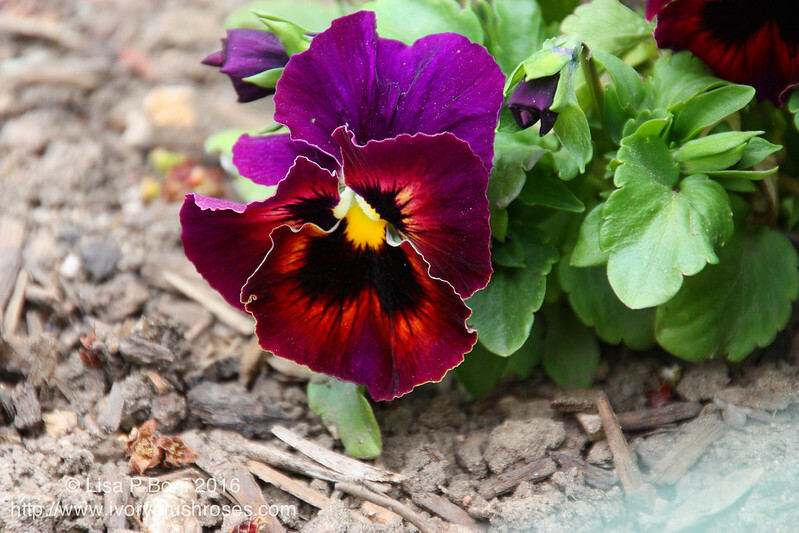 The pansies planted last fall along with some mums have been blooming quietly for a while now. With the warm days, their tiny flowers have tripled in size! 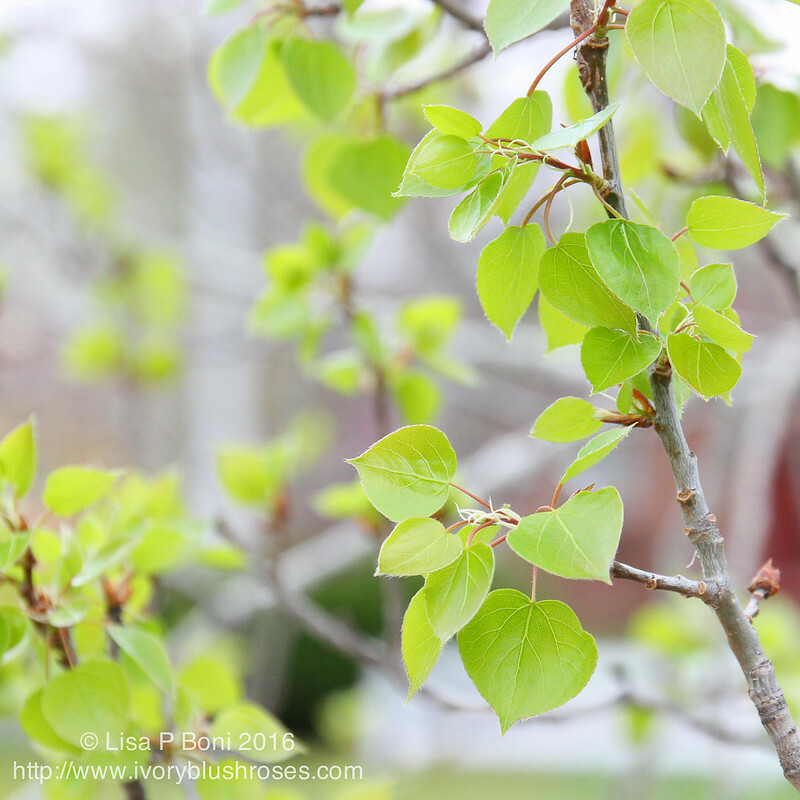 The aspen trees have hung clusters of brilliant heart shaped leaves from every twig and bud. 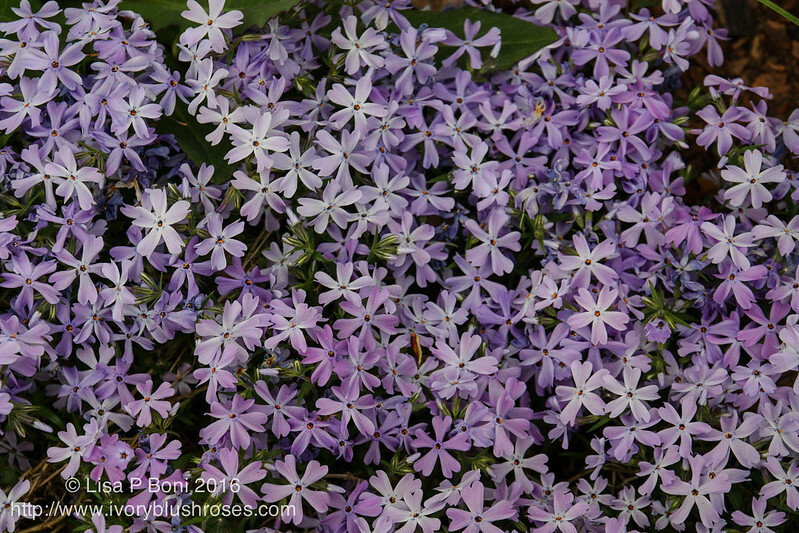 The creeping phlox that has grown ever so slowly has turned into a lovely mat of icy lavender flowers this year. 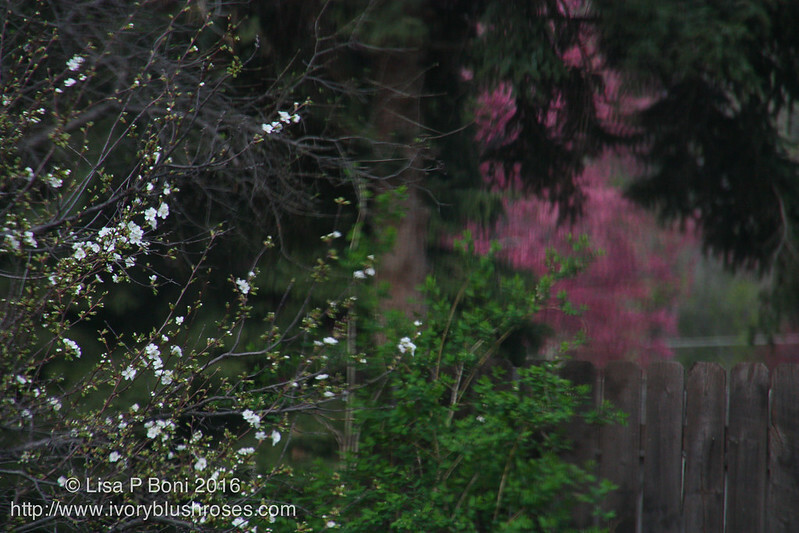 From the kitchen window over the stove, I had a morning view of the neighbor's cherry tree bursting into pristine white blossoms. Rather like a dream. 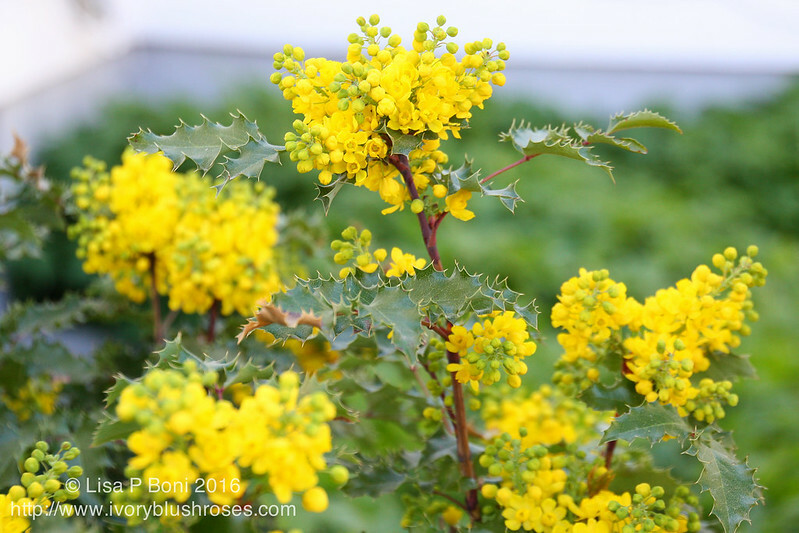 In a walk around the yard, I was surprised by the clouds of yellow blossoms on the holly shrub along the patio. 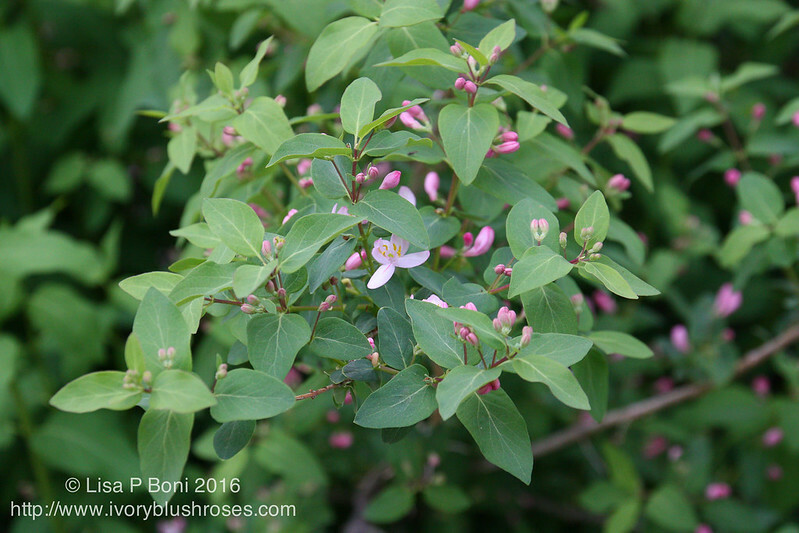 Yet another shrub bears lovely twinned pink blossoms among it's fresh green leaves. 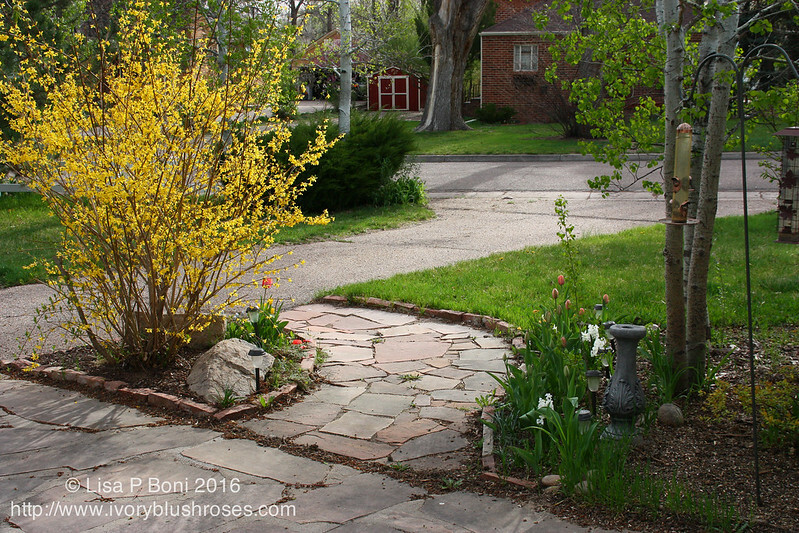 Along the street, an ornamental shrub bears red, red leaves and palest pink blossoms. All so glorious! How it hurts my heart to know that tomorrow, all this beauty will be covered in snow. But it also makes my appreciation and joy of this beauty today, so much greater. Wow I love all of these photos showing the beauty that is your spring this year. They are wonderful. 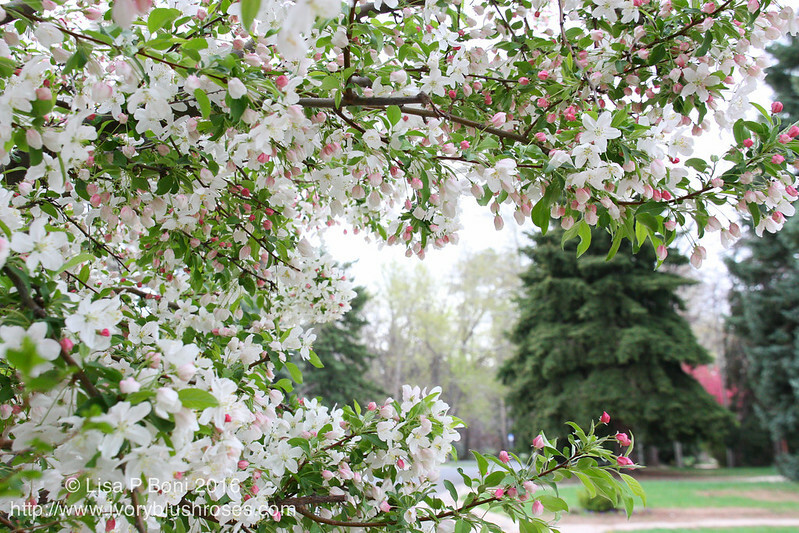 I especially love the apple blossoms. It's to be hoped the weather report is totally wrong and that it will pass you by. The weather these days seems to go to such extremes. At least you have your beautiful photos to brighten your day if it does snow. So pretty. I am totally sick because I know you got that snow. Lisa, your photos are amazing, as is the beauty around your home! I hope a lot of those blossoms will survive the snow. Let us know! All your hard work is paying off in your glorious garden. Too pretty for words.